Motivated Seller!! !Fantastic opportunity to purchase your next Vacation or Investment Townhome. This beautiful fully furnished 4 bedroom and 3 bathroom townhouse is located in the popular and gated Encantada Resort Community with a beautiful Club House, which features 2 large pools, 2 hot tubs, cyber room, concierge, exercise facility, lakefront gazebo, game room, pool tables, fishing pier and playground.. This great 4 bedroom (1 king, 1 queen and 2 with 2 twins), 3 bathroom corner town home is bright and spacious. The patio door leads to the pool deck with its own full size screened heated swimming pool. Tastefully furnished with large living / family room with dining area and breakfast counter. 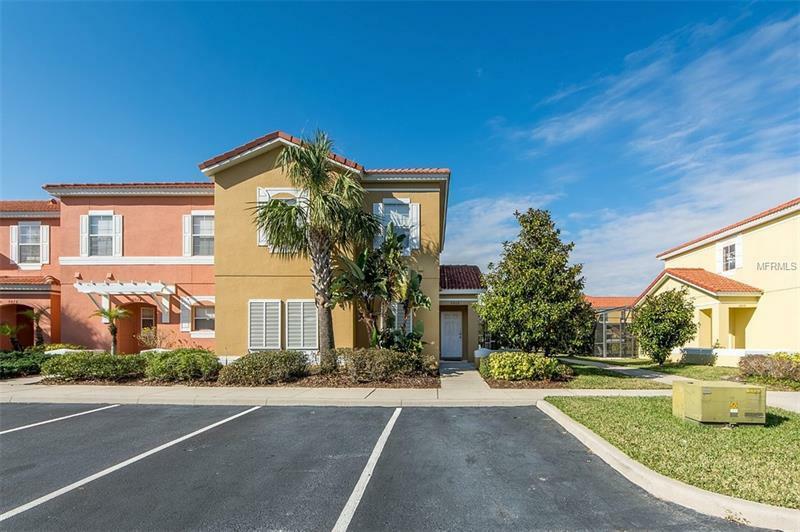 On the first floor you will enjoy the fully equipped island kitchen with stainless steel appliances, granite counter tops and open dining and living areas. The first floor also offers the queen private bedroom and bath and the laundry room is also located on this floor. The second level features a master bedroom and two additional bedrooms.